BGFMA represents most of the leading companies which provide full FM services – technical, infrastructural and commercial; others that provide real estate management services, as well as providers of individual services such as cleaning, IT, maintenance and others. 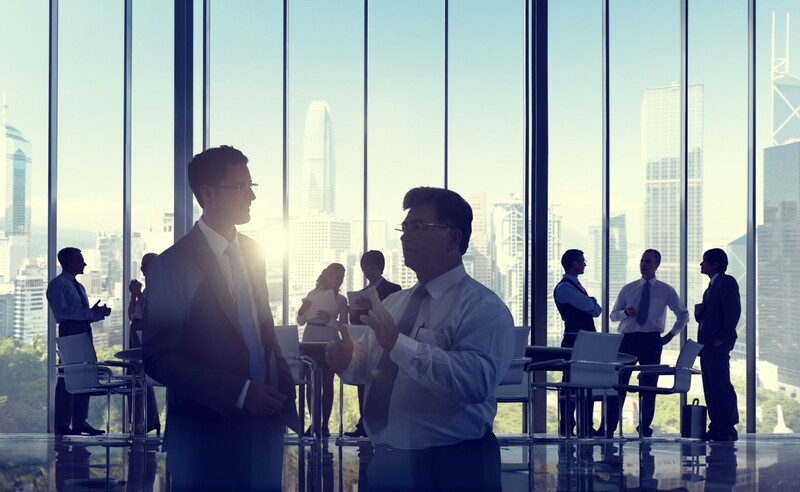 Some of our members are companies with large property portfolios, which had elevated facility management at senior corporate level, such as banks, insurance companies, large outsourcing companies and others. In-house facility managers, as well as property and asset managers are also members of the association. Prominent FM companies and experts are members of BGFMA and the Association is constantly growing. “Facilities” Magazine is the only Facility Management B2B magazine in Bulgaria which includes all topics, related to the processes and systems management in buildings, facilities, and corporate fleets. The main goal of the magazine is to promote new ideas and best practices for facility management and also to promote the facility management concept and the facility manager’s profession in Bulgaria. From 2012 the magazine is published by Public Services Ltd.
ACTICUM OOD is the Bulgarian subsidiary of MEKDAN MANAGEMENT & MAINTENANCE Ltd – www.mekdan.com, managing by to date over 2 000 000 m² office, commercial and residential properties on the territory of Bulgaria, Europe and Israel, and of NTECH BG Ltd – www.ntech.bg, a leading brokerage and real estate consulting company which experienced a wide range of properties throughout Bulgaria. The company is specialized in consulting, management and maintenance of office buildings and business parks, shopping malls, commercial centers, retail parks and logistic centers. The company has a years-long experience on the Bulgarian and international markets in providing Facility Management services of a scope, complexity and quality that fulfill the requirements for buildings Class A under the European Union standards. ACTICUM OOD always provides key solutions on the best prices. Its team of experts is at the service of its clients with the most appropriate advice 24 hours a day, 7 days a week. Alexandra Chonkova graduated Bachelor’s and Master’s degree in “International Economic Relations” in French at University of National and World Economy. For more than 12 years Alexandra has been dealing with property management of portfolio investment properties in Bulgaria – mainly office spaces as an investment RE expert in the Investment Department at AzBg PFMC ans AzBg InsCos. Alexandra is also a certified real estate appraiser and has extensive experience in projects related to valuation, auditing and compliance with IFRS for investment property. She has been working in the real estate field since 2003. Since 2005, she is working as part of the administration of WTC Sofia. In the last 10 years of her professional experience she has specialized as an events manager, contracting and agreements for rental of conference and training rooms, exhibition spaces, temporary office space. Sales and contracting of outsourcing services. She has additional experience as a consultant in private and public projects related to human resources management, investment planning and facility management. She participates in events with social engagement that support the development of society on issues of education and career development, ecology, art. Master’s program in “Management of buildings and facilities – Facility Management” at Sofia University “St. Kliment Ohridski ” 2009-2011. Anna Douneva has graduated University of Portsmouth, BA International Finance and Trade in 2006 and after that City University of Seattle, MBA in Financial Management. Her professional career started as Financial Manager in Kohl and Partner Sofia EOOD, which is the official representative of the Austrian Kohl&Partner with core activities in hotel and tourism consulting. In 2010 I joined Axxon Group, specialized company in distribution, marketing and logistics of FMCG as Financial Analyst. Since 2011 I joined UniCredit Bulbank as since 2012 I took the position Manager Maintenance and Repair Sector. The Association of commercial buildings owners in Bulgaria (ACBO) is voluntarily, non-political non-governmental and non-religious organization founded in 2013. The members of the Association are more than 20 companies, owners of commercial buildings with total TBA of more than 500 000 sqm, located in Republic of Bulgaria. The ACBO is a member of of the Confederation of the employers in Bulgaria- CEIBG, The Voice of Bulgarian Business and Bulgarian Industrial Capital Association. Bernstein is an integrated business development consultancy that works with a wide range of services and clients. Our highly experienced team includes growth strategists, business developers and communications managers that deliver results. We have rich experiences in a variety of fields and business sectors. We mainly operate in industries as information technology, facility and property management, electronics and metering, civil engineering and supply, renewable energy. Bozhidar Zahariev possesses extensive experience in the area of real estate and facility management, and his professional engagement in Bulgaria includes AG Capital, Tishman Bulgaria, and Raiffeisen. At the present he is the administrative director of Raiffeisenbank Bulgaria. He received his Bachelor’s degrees in History and Politics from Ithaca College in New York, USA, and in 2017 he expects to complete his EMBA studies at the University of Sheffield-City College. Bulgarian Cleaning Association was founded on 10 September 2007. This is an association of the companies in the professional cleaning industry – service, distribution and production. Members are Bulgarian companies, occupied in the cleaning sector, who share the aims of the association and the means of their achievement; accept and implement the rules and the ethic code. We trust in the importance of this business sector which implies to the achievement of high standard of hygiene and health and quality of life. We work together to offer high qualityservices, goods and technique to our customers. The Bulgarian Green Building Council (BGBC) is a non-profit organization with a mission to transform the built environment by changing the way buildings and communities are designed, built and operated. As a member of a world-wide network of organizations, we work together to build awareness in the public sector, build capacity through professional education, engage business to measure sustainability in the supply chain and product manufacturing, and aid government in developing sustainable policies. BGBC serves as a central knowledge sharing platform for the construction and development market in Bulgaria. The organization offers comprehensive expertise in sustainable construction and the urban planning sector and is responsible for the implementation of internationally recognized certification systems for buildings and urban districts, and offering professional accreditation trainings for green building consultants and auditors. Our members represent various market sectors which work together to create a sustainable economy, a cleaner environment and a strong community for future generations. 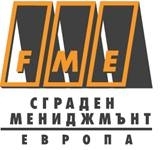 Bulgarian Ventilation and Air-conditioning Hygiene Association is an associate member of BGFMA. BULGARIAN-AUSTRIAN CONSULTANCY COMPANY JSC provides consulting services in areas such as: energy efficiency and housing policy, development and management of European projects, strategic planning and technical assistance. The company is certified (ISO 2015) to deliver these services. CenterMine is a global business-to-business software development and services company with a focus on solutions for construction industry and facilities management. We understand our customers’ needs, relying on a combination of our extensive experience and technological knowledge. In addition, we offer a wide range of consultancy services and all services related to software implementation – business analysis, deployment plans, installation, data migration, training, support and maintenance. The main product that we provide in Bulgaria, Turkey and Middle East is a Facility and Property Management software solution – FM Center. The system enables organizations to manage and control all processes related to their buildings by having access to real time data and analysis. FM Center you can successfully plan your budget, have measurable results and extend your buildings’ lifecycle. Convenient graphical representation of financial balances, data and trends. Ceres Property Services is a fully integrated real estate management services company with offices in Bulgaria, Romania and Poland. Since 2015 Ceres performs property, project and construction management services for a portfolio of commercial properties in 7 countries in CEE, totaling more than 370,000 square meters. Deyan Kavrakov FRICS, CIPS has over 20 years of experience on senior management positions in international and Bulgarian companies in the area of asset, property and facility management. As Manager of TCM, he is Certified Facility Management Trainer by WIFI, Austria and Member of the Management Board of the Bulgarian Facility Management Association. He designed and developed WIFI Facility Management Academy – an online, e-learning platform funded by Erasmus+. Asset vs. Facility Management – Spot the Difference. Comparative Analysis of Professional Identity and Functions, FM Insight, An EuroFM Publication, Issue 35, December 2015. Facility and Property Management – Find the Differences or the Points of Convergence, FM Insight, An EuroFM Publication, Issue 33, May 2015. Performance Management in Facility Management. Top Key Performance Indicators in FM. FM Insight, An EuroFM Publication, Issue 32, March 2015. General Info and Education: Born on April 3, 1975 in Stara Zagora, 1994 – High School for foreign languages “Romen Rolan” – Stara Zagora graduation with German and English proficiency. In Year 2000: University of Economics Varna Graduation with a Bachelor Degree in Accounting and Finance. Till the end of this year 2017 will graduate the Technical University in Vienna with a MBA in FM. Dobromir Simidchiev has graduated from UASG in Sofia and he is a Master of Business Administration from the University in Seattle, USA. He held managing positions at Sofiiska Voda AD, and he was Deputy Minister of the Regional Development. Currently Dobromir Simidchiev is the Executive Director of Hydrolia AD. Dragomir Stefanov is a Doctor of Economics and a Certified Investment Consultant from FSC. Since 2012 he works as a chief assistant in the Real Estate Department at Business Faculty at University of National and World Economy. He teaches courses for “Business Financing”, “Financing and Investments in Real Estate”, “Management Consulting in the Real Estate Business”, “Management of Investment-Construction Projects”, etc. to students in Bachelor’s and Master’s degrees. Since 2006 he has been an investment consultant at “Varchev Finance” EOOD. Previously, he worked at a real estate agency in Bulgaria. Dragomir Stefanov is chairman of the “Gergiovden Movement” political party. He was an adviser on the economic issues of the MP in the period 2014-2017. Essity Professional Hygiene is a leading global hygiene and health company that develops, produces and sells Personal Care, Consumer Tissue and Professional Hygiene products and solutions. Essity’s vision is: Dedicated to improving well-being through leading hygiene and health solutions. Sales are conducted in appr. 150 countries under many strong brands, including the leading global brands Tena and Tork, and other brands, such as Leukoplast, Libero, Libresse, Lotus, Nosotras, Saba, Tempo, Vinda and Zewa. Essity has about 48,000 employees and net sales in 2016 amounted to appr. SEK 101bn (EUR 10.7bn). The business operations are based on a sustainable business model with focus on value creation for people and nature. Evgeniya Dikanska is the General manager of Europroperty Bg – investment company in the field of real estate, involved in the whole life cycle of a real state project. The company invests and develops large scale projects in residential, office and industrial fields of the real estate market. She’sbeen working for over 15 years in this sector and have profound knowledge in development, project management, property and facility management and investments. EVIC was registered on 25.11.2009g. Sofia City Court, as an organization of cluster type. Industrial Cluster “Electric” was founded by seven Bulgarian companies and is the first in Bulgaria Industrial Association for electric mobility. By decision of the General Assembly of the organization in March 2014. EVIC is a national professional organization for electric mobility. It brings together its members for industrial, technological and business development, strategic developments, legislative changes, higher and vocational education and training, standardization connection with central and local authorities, and others. In the organization actively participate and representatives of the scientific and educational community. Honorary member Bulgarian Academy of Sciences. • Create community and environment models for the electric conversion (converting from ICV in electric) in Bulgaria. • cooperate with all authorities to establish rules, norms and standards in this new industry. • Business models in the charging infrastructure, transport systems, services, training. • Improvement of business, marketing and strengthening the presence of members of potential domestic and international markets. Facility Management Bulgaria – FMBG Ltd. Facility Management Group guarantees high quality of service, overall maintenance and protection of the interests of our business partners. We provide optimal solutions as to the complex management of residential and administrative buildings – the company ensures control and maintenance of all technical facilities and installations, organize and coordinate all activities and employees, taking care of the excellent appearance and the faultless state of operation of the property. First Facility Bulgaria EOOD has been on the Bulgarian market since 2005 and is subsidiary of Hypo NOE First Facility. Being a leading company in the sector, we guarantee the high level of delivered services through know-how, competence and over 30-year experience that have made our company a symbol of professionalism in the facility management industry. Hypo NOE First Facility is a company with long experience in facility and property management, offering integrated solutions for the management of public, administrative buildings and complexes, operating in Austria and Central and Eastern Europe, and having subsidiaries in Bulgaria, Slovakia, Hungary, Romania, Macedonia, Serbia, etc. Our team of specialists includes: consultants in facility management, building systems and installations, fire safety and emergencсies, organizational development, facility and project managers, technical experts in heating, ventilation, air conditioning, electronics and electrical engineering, W&S, wiring, etc., including experts in information t3echnologies, CAFM, databases, and many others. Thanks to the flat company structure and short communication paths, and to the high competence of its employees, First Facility Bulgaria EOOD is fully prepared to meet and successfully overcome the challenges relating to the development of any project. The mission of Geo facilities is to become a centralized professional facilities managemen body in GEOTEHMIN Group of companies and to offer comprehensive and integrated facility management services to clients outside the group. Some of the buildings under management in Sofia are: administrative building on Lyulin planina Street, office center and hotel complex on the Besarabia Street, residential and office building on Strandza Street. Hristo Mamarov has long experience in engineering. 13 years Robert Bosch EOOD/Bosch Bulgaria/he was responsible for market development and customer service of Eastern Bulgaria region. He works for Karcher EOOD for 7 years now, and from the beginning of this year h holds the position of Head of Direct Sales Department. Hristo has got a proven professional experience in cleaning machines, accessories and detergents from the world’s largest and esteemed manufacturer. Iglika Yordanova joined Colliers team in 2002. She played a key role in the structuring of the Retail Services department and the company positioning as a market leader in this real estate segment. Since 2008, Iglika has been actively involved in Colliers Bulgaria operations in her capacity of a member of the management team. As of 2013 Iglika is the Managing Director of the company and develops further the client base and service portfolio in Bulgaria. Iglika holds Masters’ degree in Finance and Bachelor’s degree in Economics from Sofia University “St. Kliment Ohridski”. Ivan Velkov is economist, studied and graduated in Beijing’s Institute of Economics and Capital University of Economics and Business. He has an extensive managerial experience gained at International consultancy companies specialized in professional Real Estate services in the Far East and Southeast Europe region. Ivan Velkov has been a consultant and Marketing Executive in CB/DTZ CYL for China and Hong Kong, Strategic HR, General Manager and Regional Partner for Colliers International Bulgaria and Southeast Europe and Colliers International Property Management, Regional Manager at Raiffeisenbank Bulgaria and General Manager of Raiffeisen Real Estate. Lecturer at University of National and World Economy, ‘Real Estate Management’ and registered mediator at Ministry of Justice. Ivan Velkov is a Member of the Board of several professional and non-government associations. Past President of Bulgarian National Real Estate Association, currently at NREA’s Supervisory Board. Member of the Board at FIABCI Bulgaria, Chairman of the Board of Interactive Bulgaria Foundation and Vice Chairman of Sofia Municipality Council. Ivan Velkov has become Chairman of BGFMA in March 2017. Kamelia Panaytova is currently “Director Facilities” at Sutherland Global Servicesand has 12 + years of experience and expertise in facility and lease management, facility due diligence, site selection and office space fit out. Since joining Sutherland in 2010, she has led multiple facility expansions in Europe, working with international teams on facility build outs with very tight deadlines. The track record of successful projects’ completion ensured clients’ satisfaction and contributed to the establishment of smooth business operation. Kamelia has expertise in facility budget analysis and planning, approved funds management and control. She is experienced in office space design, interior design and corporate branding. Her in debt knowledge on health and safety at work, fire safety, emergency management and security global policies enabled best practices implementation in all Sutherland sites in Europe. Kamelia holds Master’s degree in Bulgarian Philology, Bachelor’s degree in English Philology and in Journalism from Veliko Tarnovo University, Bulgaria. Lilia Bozhilova is a project manager and managing partner at LLV Technology Ltd. The company is specialized in development, deployment, maintenance and progress of web software for property and facility management – PMSoft. Mundus Services JSC is the largest holding company for integrated facility services in Bulgaria. Cleaning and Auxiliary Services: Daily cleaning, general seasonal cleaning, industrial cleaning, after construction cleaning general cleaning after repair or reconstruction, high-rise cleaning of facades and windows, grinding and polishing of natural stone surfaces, laundry, pest control, winter services, open spaces maintenance and landscaping, catering and vending. Technical Maintenance and Services: Electrical maintenance, construction and assembly works, reconstruction, renovation, building maintenance, relocation and furnishing, locksmith services, joiner services, water and sewer maintenance, HVAC maintenance, UPS systems, diesel generators, BMS, elevators, automatic entrance doors, access control systems, fire alarm and fire sprinklers systems. Business Services: personnel leasing, payroll, reception, safety and security, housekeeping services etc. NATIONAL REAL ESTATE ASSOCIATION (NREA) is the representative professional organization of companies operating in the real estate segment in Bulgaria. The association was established in 1992 as a non-profit organization, first registered under the Law of Persons and Family named “Real Estate Association “. On the 17.11.1995 on the General Assembly it changed its name to National Real Estate Association. NREA is an associate member of BGFMA. “Nik Factor” Ltd. was established in 2012 with main activity – finishing construction, home remodeling, integrating innovative lighting systems, consulting and support. Since its establishment, the company is now “NIK FACTOR” Ltd., established itself in the market as a reliable performer and innovator in the integration of high-efficiency LED lighting by building successful contacts and gain the trust of the customer loyalty, fast and flexible logistics solutions. Partners we work with are established, both Bulgarian and international market, namely the French company for electrical equipment “Legrand”, the German company for abrasive materials “KLINGSPOR”, the Italian company for keys and konstakti “BTICHINO”, the German company electrical installation safety equipment “GAO” and the German company “BRENNENSTUHL” specialized in the production of electrical materials and equipment for construction, also “Philips” and “Elmark” and many others. As a large part of the proposed LED technology is our own import. Facility Management / comprehensive maintenance of all parts /. Nikola Braykov graduated from UACEG, subject “Hydraulic Engineering” and from Sofia University, subject “EMEIU”. Junior Expert Legalization at Telelink, Project Manager at K and K Engineering. Currently Nikola Braykov is a Facility Manager at Glorient Investment AD. Nikola Marinov’s current position in PK Property Management Bulgaria is Chief Operating Officer. PK is an investment company which acquired two of the biggest commercial centres in the country in 2017. These are Mall Galleria Stara Zagora and Mall Galleria Burgas. The obligations that he has in the company are closely related and directly responsible for the technical maintenance, cleaning, security, reconstructions, the architectural and MEP improvements and renovations, design and investor’s supervision. His practical activities in the sphere of the facility management are acquaintance since 2009. With project management, construction and investor’s supervision since 2007. OKIN FACILITY BG – subsidiary of the Czech-based company OKIN GROUP Inc.
As an Integrated Facility Management provider OKIN FACILITY BG supports the core business of its clients, operating in various industries – manufacturing companies with factories and production plants, multi-tenant buildings, corporate headquarters, trade centers, financial institutions, logistic areas and others. OKIN FACILITY BG applies its know-how in the area of facility management which aims at optimizing all operational costs related to the proper maintenance of the properties. There is an extensive list of services in our portfolio and the main are: technical maintenance, security services, cleaning services, green area maintenance, snow removal and waste management. By outsourcing all secondary activities to OKIN FACILITY BG, our clients can expect higher quality, ease of administration (one point of contact) and significant cost reduction. Omeka Management Ltd. is a dynamic and fast growing company that specializes in property and facuility management. The managing policy of the company strictly follows European standards and norms and guarantees transperancy, as well as balance between quality and low costs.Working hard to offer our clients maximum comfort and commited to provide quality services, we operate with professional detergents, machines and technical equipment. A guarantee for the accurate and responsible performance of our services is also out qualified personnel to whom the company relies on irreversibly. Omeka Management proved in time that quality and terms are uncompromisingly safeguarded. The company provides complete range of services, related to real estate management and maintenance – for residential and administrative buildings, offices, private properties, stores or storage rooms and areas. Outsourcing these activities to our company allows our clients to focus on their core business and at the same time increase cost-efficiency. Planex Invest Ltd. is an investment and consulting company specialized in the construction and management of residential- and holiday complexes and business buildings. The company was founded in 2004 and forms part of Planex Holding. Planex Invest Ltd. has a staff of 150 highly qualified engineers and economists specialized in the management of building projects and investments, sales, interior design and building maintenance. Planex Invest Ltd. is certified under ISO 9001:2008 by Germanischer Lloyd Certification body, Certificate No QS-4104HH. The company has offices in Varna, Sofia and Burgas. SPM Ltd. is a Bulgarian company founded in February 2008. SPM provides wide range of building and facility services that reduce operating costs and increase equipment efficiency. SPM’s professionals powered by best-in-class practices deliver customized solutions for facility and building needs. The company has been established in 2017 with main activities in real estate and construction consultancy as well as in facility management. The Manager of the company Eng. Dobrin Dimitrov possess experience in FM for more than 11 years as he was employed with Globul and Telenor as Director of Facility Management. Tzvetelina Popova is born on 28.06.1974 in Sofia. Member of the National Committee of Bulgaria at the World Energy Council. She graduated secondary education in 8 Vassil Levski High School, Sofia, with advanced study in Spanish and Russian. In 2002 she graduated from Southwest University “Neofit Rilski”, Blagoevgrad with a Master’s degree in Economics and a specialization “Economics and Management in the Socio-Cultural Sphere”. In 2012 she achieved a Master’s degree in Economics and Management in Energy, Infrastructure and Utilities in the Faculty of Economics of Sofia University “St. Kliment Ohridski “. Since January 2017 she has been a PhD student at the Faculty of Economics and Business Administration at the Sofia University “St. Kliment Ohridski “, scientific field” Social sciences “, research field” Economics “, scientific specialty” Economy and management in branches – Energy “with topic of the dissertation project” Application of models for energy planning in municipalities “. Additional qualifications related to public procurement, organizational and leadership skills, energy efficiency and renewable energy sources. From 1997 to 2002, she was marketing and advertising consultant in the private sector, marketing and sales manager, personnel selection. From 2003 to November 2011 she was expert customer service and court receivables in the Commercial Activity Directorate of “Toplofikacia Sofia” EAD. From April 2013 to April 2017, she was Senior Expert in the Heat and Energy Efficiency Department, Housing and Public Construction, Heat and Energy Efficiency Directorate, Metropolitan Municipality. Secretary of the Steering Committee for the Action Plan for Sustainable Energy Development of Sofia Municipality. Юкономикс ООД е бързо развиваща се компания създадена с цел да обслужва ютилити индустриите в България. Мисията на Юкономикс е да бъде център за знания в инфраструктурата и енергетиката, публичните и комунални услуги в България като предоставя качествени и иновативни продукти и услуги, задоволяващи нуждата от нов тип знания и умения на европейско ниво в сектора. Компанията инвестира в млади специалисти и подпомага развитието на ютилити пазара в страната. Юкономикс инициира промени в сектора и допринася за развитието на една информирана, модерна общност от ютилити експерти. Юкономикс доставя новини и професионални знания в областта на инфраструктурата, енергетиката, публичните и комунални услуги. Компанията издава следните списания: “Ютилитис”, “Фасилитис”, “Maintenance Review” и “Fleet Manager”. Списание “Фасилитис” е първото специализирано списание за мениджмънт на сгради и съоръжения. Основна цел на списание “Фасилитис” е да представи нови идеи и успешни практики в областта на експлоатацията и поддръжката на сгради и съоръжения, да популяризира в България понятието “фасилити мениджмънт” и професията “фасилити мениджър”. The University of National and World Economy (UNWE) is established in 1920. It is the oldest, the most prestigious and the largest economic university in Southeastern Europe, a leader in Bulgarian and European higher education. UNWE envisages itself in the future as a leader among the universities of Southeastern Europe which educate students and conduct researches in the field of Economics, Management and Administration, Law and Politics. Partner of BGFMA is the Department of “Economics of Real Estate”. It was established in 2007. It focuses on one of the most dynamically developing markets in the country – that of real estate. Due to its broad scope and specifics, real estate market reflects the trends in other sectors of the economy and, in turn, also influences them. Because of that, modern economics pays it special attention. In the Economy of consumption, it is traditionally assumed that the acquisition and effective management of real estate is the basis of economic efficiency of the individual household. The University is an associate member of BGFMA since September 2013. VEOLIA is a global leader in the field of operation and maintenance of technical equipment and facility management of buildings. The company provides its customers with adaptive solutions based on proven experience in the development, construction, operation and maintenance of clean and efficient energy systems and ensures optimization of technical, economic and environmental indicators of facilities in administrative and office buildings, shopping malls, hospitals, airports, hotels and residential complexes, as well as district heating and cooling networks and systems. Veolia provides heating to 2.4 million households, manages 76,000 energy installations and more than 450 heating and cooling networks around the world. Main activity of VIDAKO FM is consulting and managing projects in the field of facility management and energy efficiency. In 2007 I graduated as a Bachelor in Finance at Southwest University “Neofit Rilski” in Blagoevgrad. Since then I have been working in the field of Real estate. I have worked as a sales and rent consultant in Foros, Bansko and Address in Sofia. Since 2012 I have been working as a Facility Manager at Good Neighbors Ltd. I have managed buildings Jaclyn, Red Apple, Mont View, and other smaller residential buildings in Sofia. I graduated from Higher School of Transport “Todor Kableshkov” specialty “Transport Construction” and Sofia School of Engineering, Architecture and Geodesy “Hristo Botev” specialty “Construction and Architecture” in 2005. The same year I started working as a construction technician in “Kipix” LTD. During my work there build a plant for production of glass were met many finishing and repair work in private homes and offices, and dozens of industrial and floors. At the end of 2006. I joined the team of “Evroplan” Ltd., which launched its investment program in 2007., for the construction of residential buildings. The organization and supervision of the construction and investment process was given to me. In 2012 I started working in Facility Management department to “CEZ Bulgaria” EAD, where I meet with real facility services. From November 2014., Occupy the post of the department , as since then until now have been implemented several important projects related to property management. The most significant was the relocation of 700 company employees from various locations into one new common business building (10 000m2). Repair works continued within two months, and physical displacement movement was done within a month, without interrupting the workflow of employees.